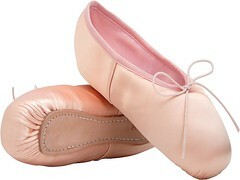 By now, many of my regular readers know that I get excited when I find new pointe shoe brands from any country outside the U.S. A. Today, I am thrilled to share an intriguing model that originated on an island country very close to the shores of Italy; the island of Malta. 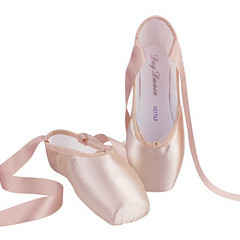 There was a time in the recent past when we would have been able to say that we have Maltese pointe shoes in this world. 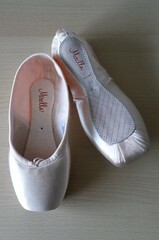 Sadly, I now have to say we had Maltese pointe shoes as I will explain later. The Tripudio brand name was the creation of Montecatania Enterprises, the business collaboration of two talented partners; Ramon Montebello and Marvic Cantania. As you can see, the company title is a combination of the two names. There is no online information about their factory location and whether the company produced other types of dancewear products for customers in Malta and other countries. The country of Malta is one of two Mediterranean islands off the southern tip of Italy. Sometimes, I have success contacting companies from other countries. Many times I do not. Often, I can make initial contact with a maker, only to be snubbed after asking a few questions about their products. In today’s competitive markets, that never makes good business sense. I was able to find and contact Marvic Cantania through his Facebook page to inquire about the specifications of this shoe model. The only information I received about the shoe was its removal from the market due to business reasons. He was reluctant to tell me anything about the shoe construction itself even though I identified myself and this website as the reason for my inquiries. 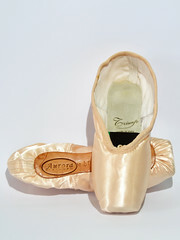 When a pointe shoe model becomes obsolete and no longer offered on the market, it can become a very enticing buy for a collector. Because I was told through my inquiry with the partner mentioned above that he still had inventory on this model, I inquired about pricing and shipping outside of Malta. I never received an answer which was very disappointing. On a personal note, could this blatant lack of courtesy and communication have anything to do with business ventures that don’t succeed? 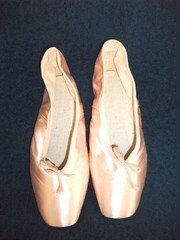 The very nature of pointe work can guarantee that dancers will have a lot of questions to ask about the shoes they intend to dance in. 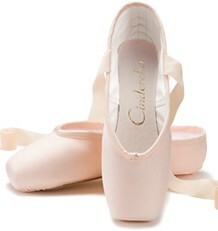 Discontinued or not, if you plan to manufacture and sell pointe shoes, prepare for questions from the public. Sadly, the dance world may never know what would have been the exciting possibilities of the Tripudio model. The photos show a lovely shape and symmetry made with high-quality satin, yet their specifications are locked away as top-secret. Maybe one day they will have a change of heart and give us more information. Any pointe shoe created, past or present, for sale or discontinued, is part of the rich tapestry of ballet history and deserves a few minutes in the spotlight. It also allows us to give some honor to the cobbler who worked hard in the factory to make it. 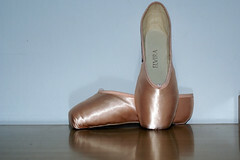 This entry was posted in Discontinued Pointe Shoes, Maltese Brands and tagged discontinued pointe shoe brands, Maltese pointe shoes, Montecatania Enterprises, pointe shoes made in Malta, Tripudio pointe shoes. Bookmark the permalink.